Lots of portable Bluetooth speakers promise to deliver big sound but rarely come up with the goods. Logitech’s UE Mini Boom promises it can, but does it? The speaker arrived in a rectangular, plastic display case, raised on its side atop a small cardboard platform. It feels pretty heavy for its size. The rechargeable lithium-ion battery pumps out up to 10 hours of beats and it streams music from any Bluetooth enabled devices from up to 16m away. While the Mini Boom lacks the 360-degree sound functionality of its bigger sister, the design of the Mini Boom encourages its usage more as a personal speaker on a desk or table, rather than parties. Its key selling points is portability. The unit sits comfortably in the palm of the hand, weighs very little, and easily fits into your handbag. The rubberised molding around the unit and the metal grilles on either side are enormously hard-wearing, making it water resistant to a degree but not completely through the grille. The sizing of the buttons (two volume and a Bluetooth on top, power switch on back) makes it stress-free to change volume or link to a new device. No problems connecting it to our test iPhone 5S. You can also use an App from the App Store to control the unit; it has a couple different equalizer settings which are helpful. For certain (non-iPhones) there is NFC, which allows quick connection between phone and speaker. The Mini Boom has a decent treble and midrange presence and are by no means unpleasant. Playing at maximum volume, it could be heard far down the other end of our office. The battery life is ludicrously good; the advertised 10 hours at mid volume is easily attained, if not exceeded. The groundbreaking features, a warm and detailed sound output, and piles of power, UE’s Mini Boom is definitely a leader in the entry-level portable speaker category. At this size and price, you would have a very tough time finding a speaker that outperforms this device. 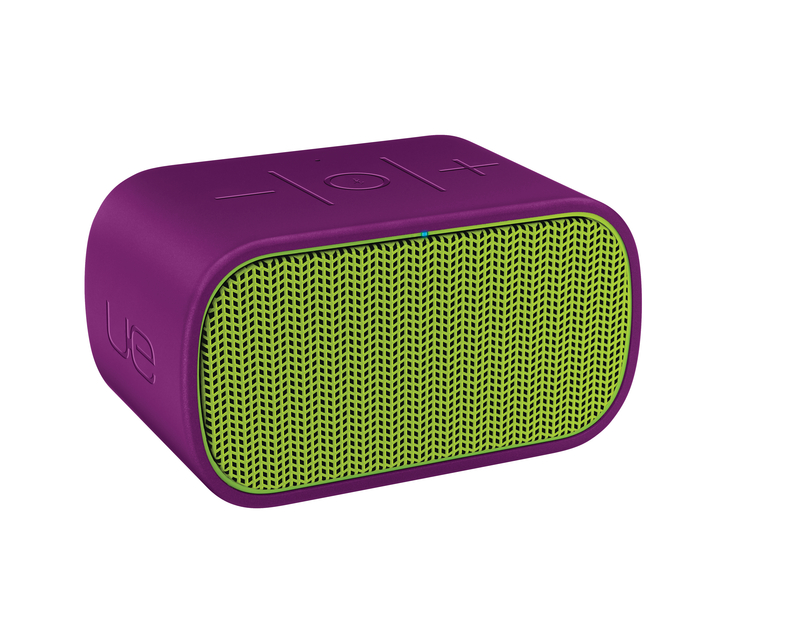 The UE Mini Boom is expected to be available in Apple Retail Stores and Apple Online Stores across Europe as of today and in other retailers from February 2014 for a suggested retail price of £79.00. For more information, and to find a retailer near you, please visit www.ultimateears.com.